Like many a classic New Zealand record, Over the Atlantic’s Junica recalls many days spent in and out of flats, of drums recorded alongside rooms by a road, of endless tracks recorded and discarded, of coffees scraped together and shared. Confessional letters are written and read, songs get sculpted on old sofas, dust hazy sunlight days prompt dreamy reminiscences. 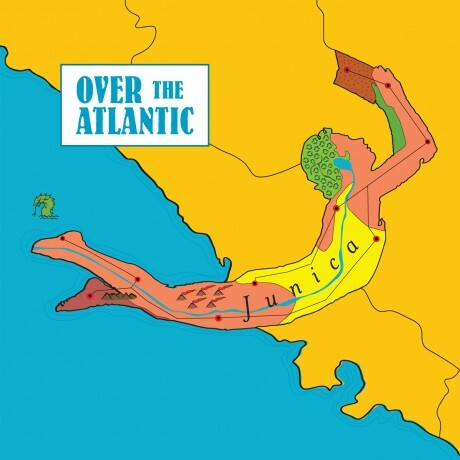 The Over the Atlantic of Junica is Bevan Smith and Nik Brinkman, who came together through shared involvement in a A LOW HUM compilation; Smith mastering the record and Brinkman submitting a track under the Over the Atlantic name. 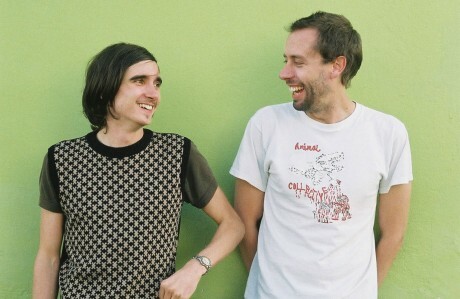 Two and a half years of work, of flat pop-ins, of recording and re-recording resulted in Junica; a sugary pop-indie treat. Junica smoothes its indie sound on pop structures. Romantic and wry by turns, layered vocals are set against tart and clipped drum beats which snap like frost laden branches against the window of a warm room. With sneakily fun basslines and immaculately timed pop-breaks, Smith and Brinkman show off their influences worn lightly but boldly. Bevan Smith makes music and sound, built and manages the Involve label and is a noted conjurer of extinct birds. As composer/creator he has worked on music for art projects, theatre shows, museums, dance works, Japanese TV adverts and films, notably the Bafta award winning “Touching the Void”. Nik Brinkman went to film school, broke out of high school with the band Ejector who supported Pacifier, D4, and Cassette and can’t put down a telecaster for long. Single and a scorpio is a dangerous combination for the slideshow of indie girls that adorn his myspace page. Junica is a record destined to be savoured over time, discovered and rediscovered, saved for mild summer afternoons and early winter evenings. Kick your shoes off on the old couch and settle in, there’s a groove worn in it for you.